Our goal is to get you the highest NET possible. That includes being aware of what you are paying in commission and your alternative options (but heck why go anywhere else). We respect your money. Every $5k of it. ONLY listing a home for sale between Wed night and Thursday midday. Another big decision is pricing. 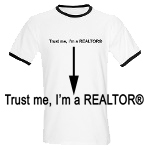 – Price too LOW in order to try to create a bidding war and you might leave $10,000s of dollars on the table. I don’t believe in pricing low on purpose. There is something I called Bidding War Fatigue (actually I never have used that phrase before, but I will start, it sounds good). 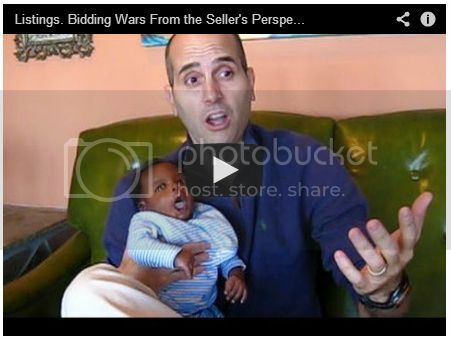 BWF is when a buyer is too stuck on the listing agent’s starting price. And their ego gets bruised if they go too far over list. Whereas if it was priced $10k higher to start, they might have no problem bidding to XYZ. – Price Just Right is the key! This is a tiny part of how we net the sellers more. Do you have a place to sell? Reach out earlier, rather than later (yes before you rehab or fix things up). Don’t be like those people that said “I really wanted to use you but then we went with my high school buddy, who does real estate on the weekends, and that went horribly” We get that all the time. Soon I hope to put up a video of one of these people). Thanks! And the best way to say thanks to a blogger is to leave a comment (either good or bad). Cutest baby ever :-) Precious!